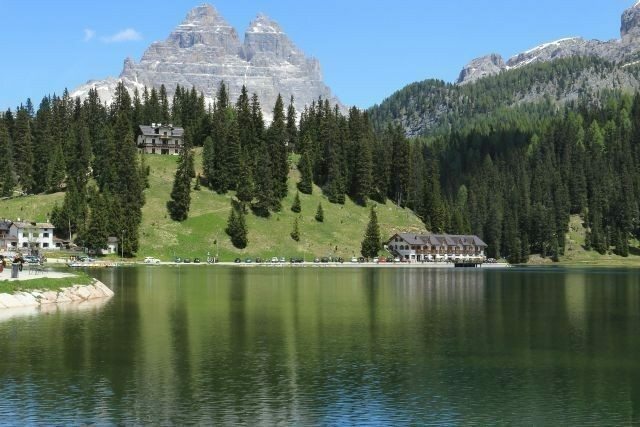 The Dolomite mountains are in the northeastern region of Italy and they are part of the Italian Alps. But why they are so famous? As a result, a French geologist finds them in the second half of the 18th century. And his name was Mr Déodat Guy Silvain Tancrède Gratet de Dolomieu. Most of all, he described as a rock a mineral. In the detail, an anhydrous carbonate mineral composed of calcium, magnesium carbonate. Hence they gave the name Dolomia to this rock in memory of the man that discovered it. 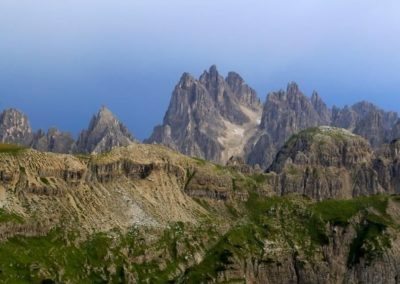 16 summits of the Dolomite mountains are at more than 3000 meters above sea level. And the highest peak of the Dolomites is at 3344 meters (10971 feet), the Marmolada mountain. 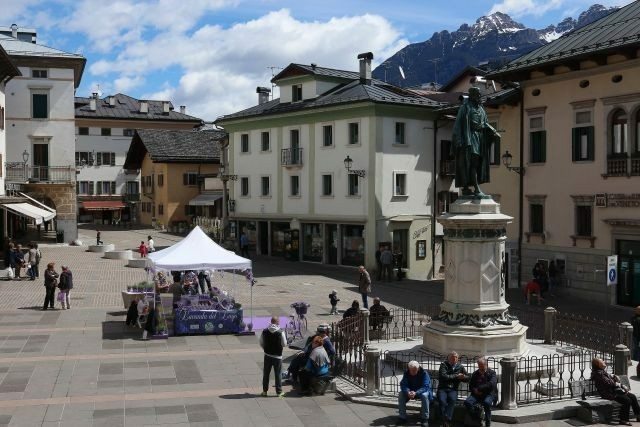 As a result, this summit marks the border between the Veneto and the Trentino regions. 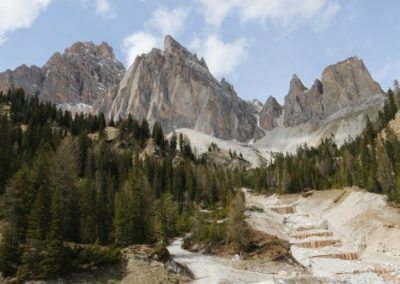 Most of all, the structure of the rock of the Dolomite mountains is sedimentary. And for this reason subjected to erosions due to the climate. 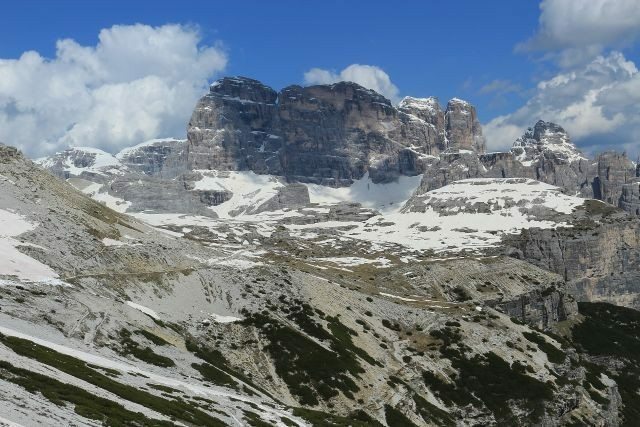 Furthermore, the colors of the Dolomite mountains are white, gray to pink. 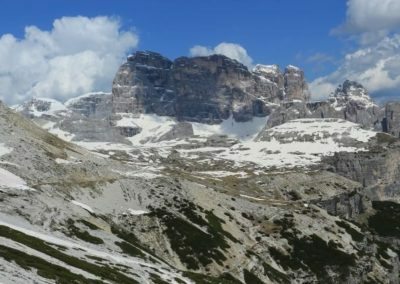 The Dolomite mountains were also the scenery of the first world war. Indeed we talk about Italy against Austria with cruel battles on the peaks of these mountains. The 1956 Winter Olympic Games were in Cortina d’Ampezzo. In the detail, the period of the games was from January 26th to February the 5th. 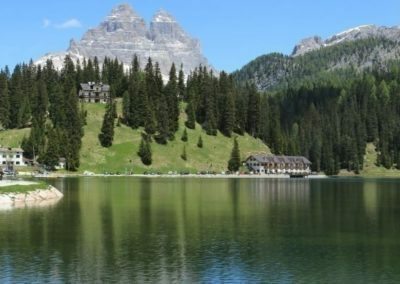 Hence now, the Dolomites are a famous winter and summer holidays resort area. 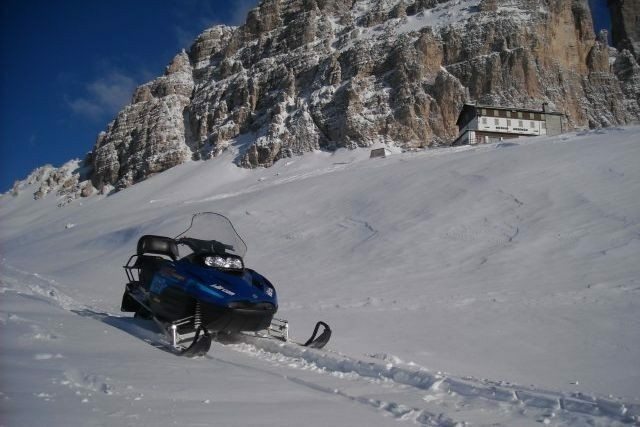 On our days, they are the most important ski resort of Italy. Known also for all the different mountain activities. Hence we find the hiking trail, base jumping, and rock climbing. 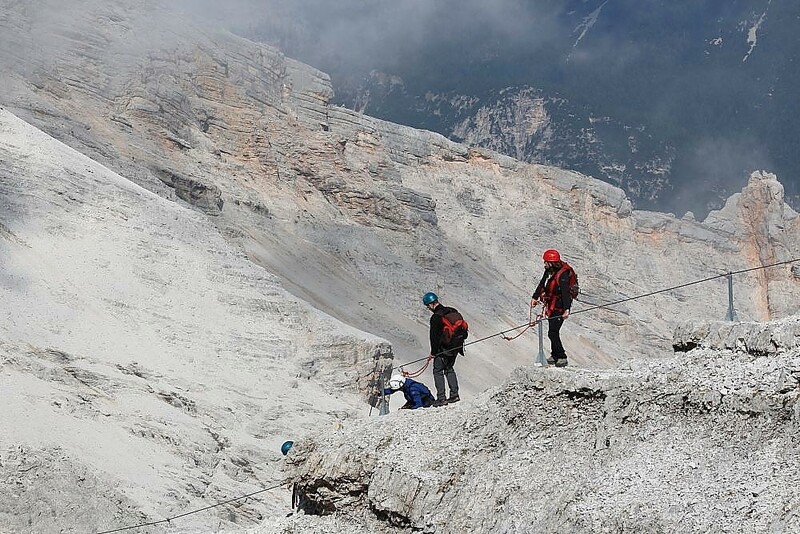 As well as via ferrata, paragliding and hang gliding. 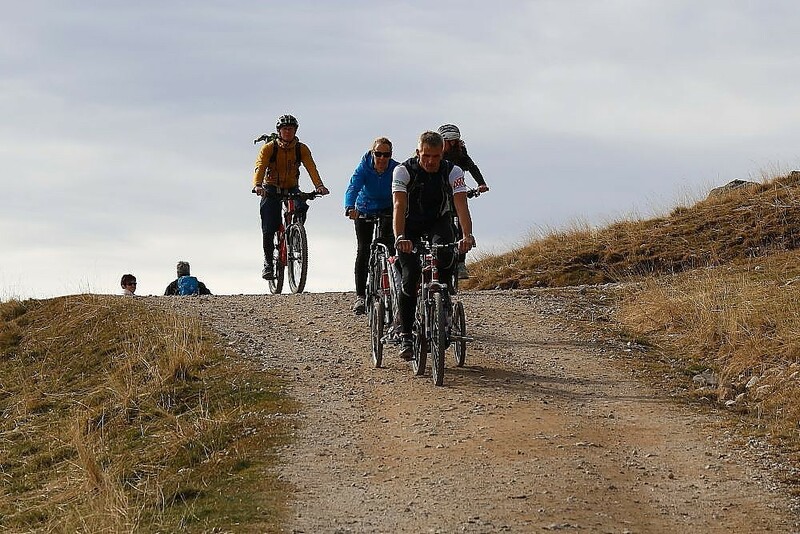 We can’t forget mountaineering, cycling and much more. 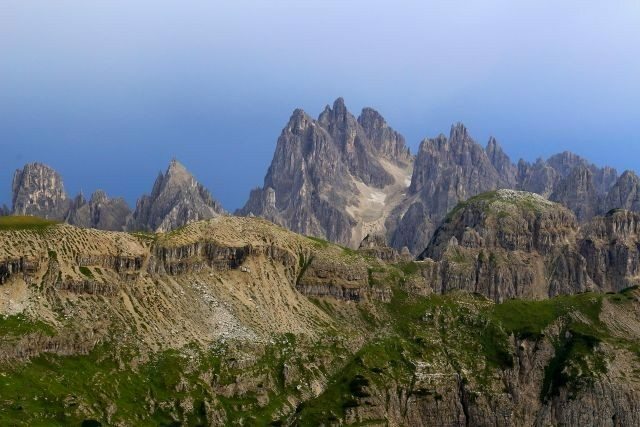 Worth a note, from August 2009 the Dolomites are in the UNESCO World Heritage List. You will take a snowmobile track over a frozen lake and through the woods. Or more try a real Safari on snow driving a snowmobile. Whoosh along shimmering, snow-covered landscape and also share this experience with your families and friends. 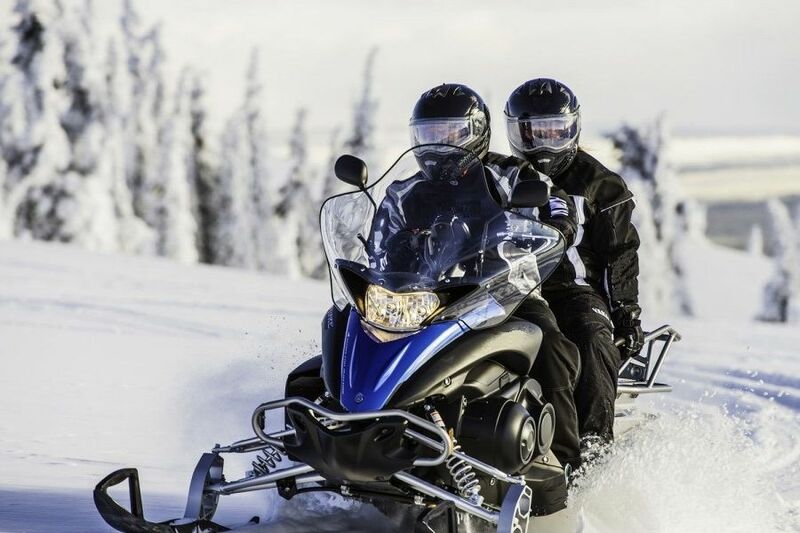 For sure, the perfect snowmobile trails are waiting for you, hold on tight and enjoy the ride. Hence when natural beauty, brilliant exhilaration and good times come together, the sensation is a pure Dolomites. Fat bike, or snow bike, the perfect bike for a ride along the snowy mountains of the Dolomites. 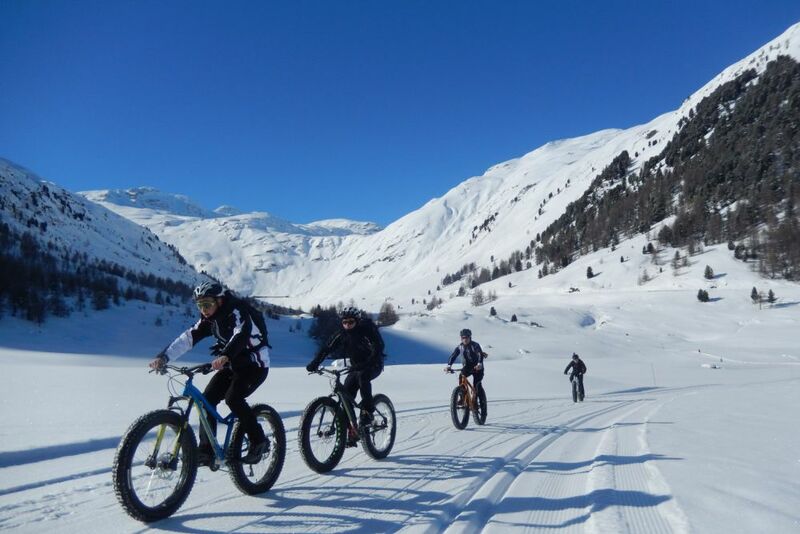 You can have a thrilling experience by using a Fat Bike slopes for gravity descents! It is also possible to organize night runs with dinner at a local refuge and to rent the sports equipment. 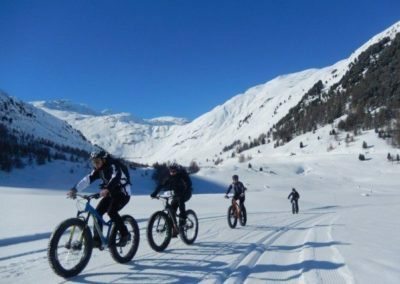 Hence you can use the Fat Bike along the paths and the routes normally reserved for snowshoeing and walking. But not along the ski slopes and the cross-country skiing tracks. 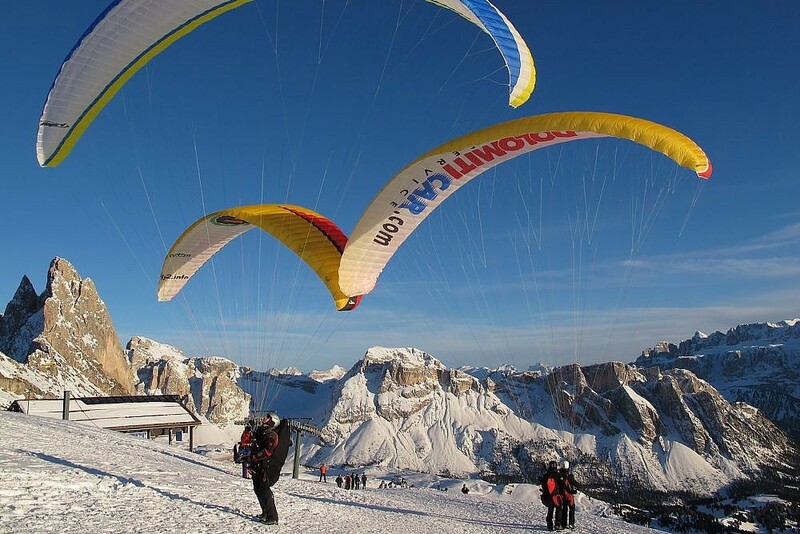 Enjoy an adrenaline-filled activity day of snowkiting on the Dolomite mountains. 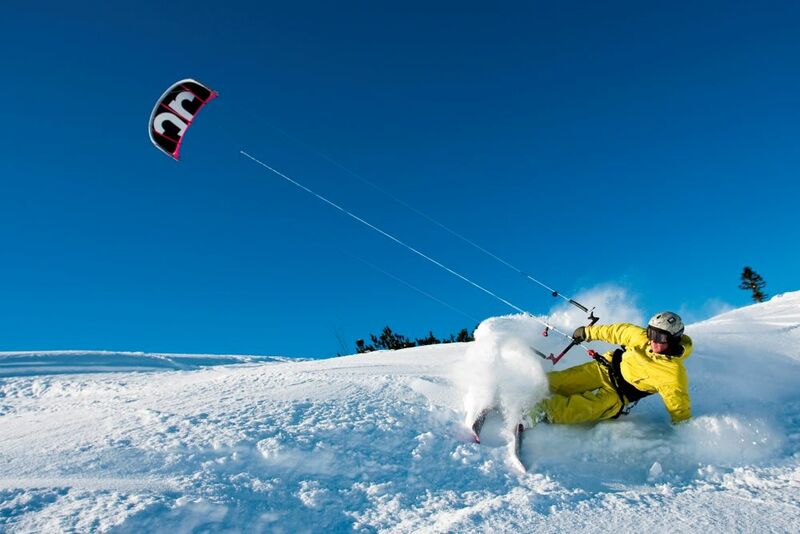 Indeed snowkiting is an exhilarating winter sport. Hence you will use downhill skis or a snowboard and specially designed kite to steer. With whom to pull you across the snowy open areas. As follow, you will ride the snow with the power of a kite. Hence the thrill of flying, with wings on your back and skis on your feet. Therefore, an ultra-specialized school offers private and group lessons. Karting on ice! Try it on a circuit of a natural ice. Hence try the speed of the karts, challenging your friends or other pilots. 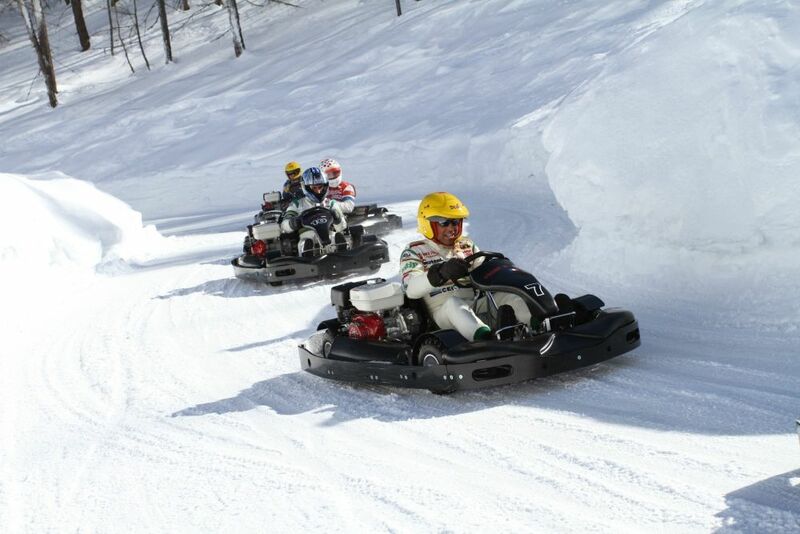 Indeed Ice Karting is a very exciting and thrilling activity. Hence it’s fast and furious, even intense, with your driving skills tested until their limits. And also an activity where technique wins over outright speed. Allowing drivers of all ages and experiences as long as they are of a certain height, to compete on level terms. You are in the silence of a great snowy landscape of the dolomite mountains. And what better way to discover this magic place than on a pair of snowshoes? 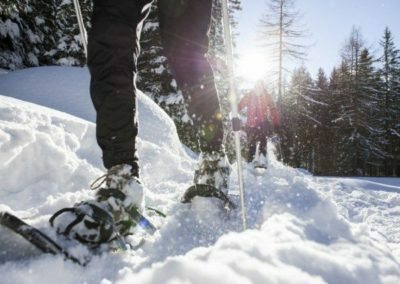 Snowshoeing means hiking on snow, it is fun and easy. 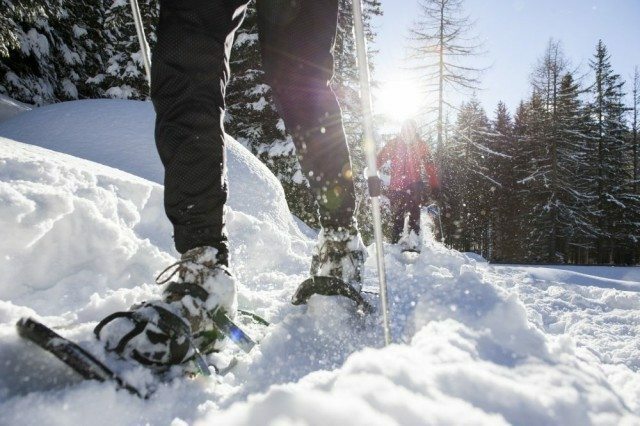 Indeed snowshoes are well maneuverable, allowing you to go places where cross-country skiers and snowmobilers cannot go. 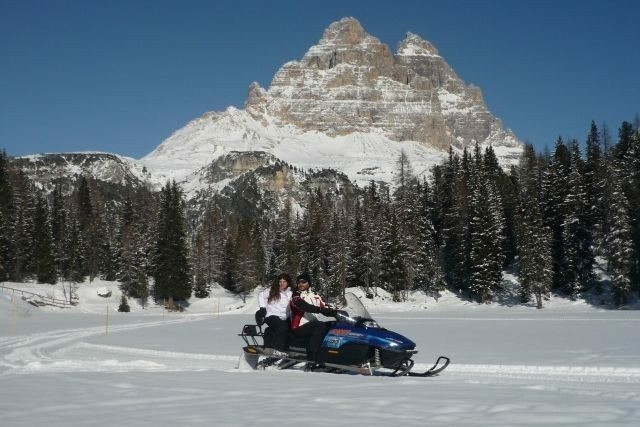 Hence you will have great moments when you will discover the peace of the snow covered dolomites landscape. 12 different ski areas and 1.200 km (746 miles) of perfectly prepared snow covered slopes. And this with just a single ski pass! 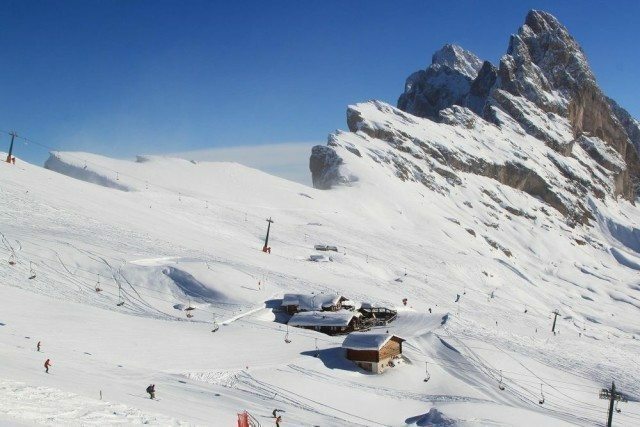 Hence you will ski in the middle of the Dolomites surrounded by soaring cathedrals of sandstone. As a result, you will ski from resort-to-resort, aided by ski lifts with no hiking, no snowshoeing, no skinning. Nowhere else in the world you can access such a variety of lift-service skiing terrain covering so much ground! A paradise for skiers. 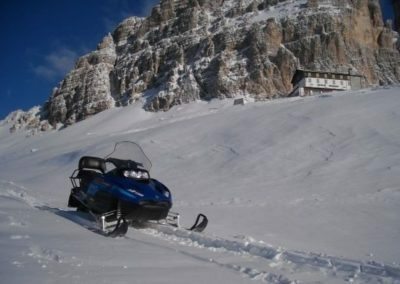 Are you looking for a winter day excursion in the Dolomite mountains? As follow we propose you two solutions that can be a stunning experience. Hence, easy to do in one day and full of charm. 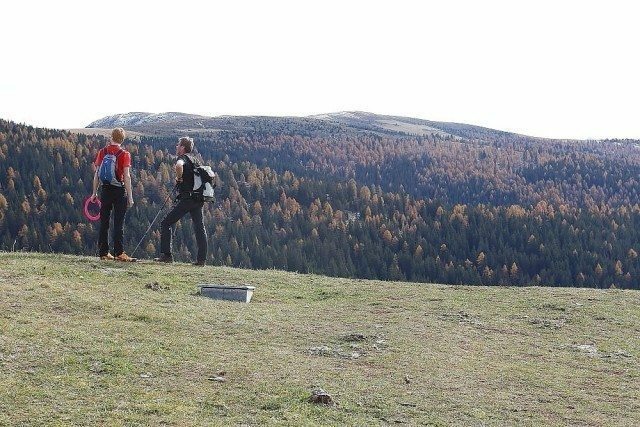 Hiking trails, trekking and nordic walking. 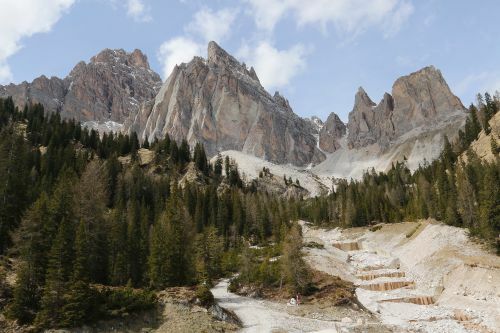 As a result, the Dolomite mountains boasts a large number of trails and hiking routes at all levels of difficulty. Hence from nice walks to the challenge of traverses at altitude, the area has something for all kinds of excursionists. And also there is a clear signpost of the trails and with an easy access from the lift stations. Most of all, it is always important to control the weather, to have adequate preparation and equipment. The Via Ferrata is a route with metal cables and ladders. And also other fixed anchors as wooden walkways and suspended bridges. Hence these materials make feasible the rocky path or the exposed trail even to a not an expert climber. As a result, they allow those who are not talented on mountaineering technique to pass the ledges, climb walls and reach the summits. 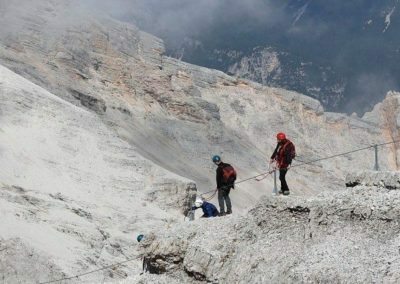 Indeed, we can add the Via Ferrata between hiking and climbing. 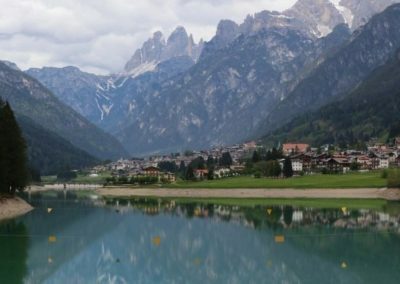 Without a prior knowledge, if you want to fly on the Dolomite mountains, tandem paragliding is the simplest and purest form of flying available. Just discover the beauty of the landscape from a new and exciting perspective. Fly over the majestic mountain peaks, large alpine pastures, meadows and forests. This is the paradise for paragliders. For an active and easy excursion, to live an unforgettable experience. Most of the hiking routes are also suitable for mountain biking. Indeed the lift facilities offer an easy access to the high reaches of the mountain. And this allows you downhill rides without the challenge or difficult climbs. Also all the bike routes had signposts with colour coded according to the level of difficulty. You can just follow the number of your chosen route, that you can see with the corresponding color. 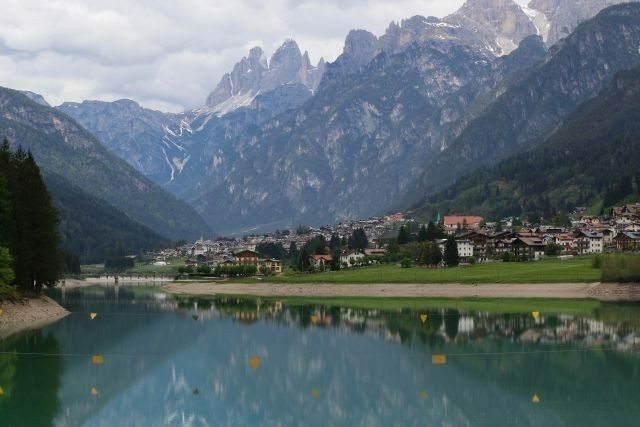 And as a result, discover the impressive scenery of the Dolomites. 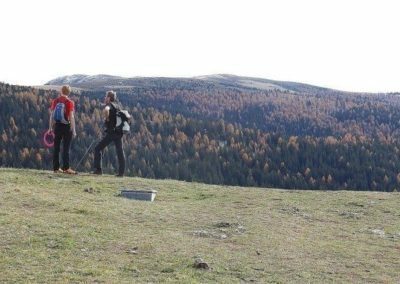 Use your hands and feet to surmount the steep obstacle of the Dolomite mountains. In fact you can found wall routes, impressive vertical limestone rock, that you can do in a single day. Or, as well with an overnight stay in a mountain hut or lodge. 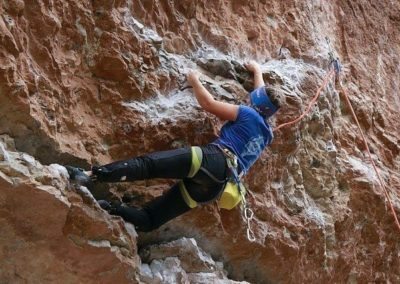 Find a unique rock climbing routes to experience in the Dolomite mountains. 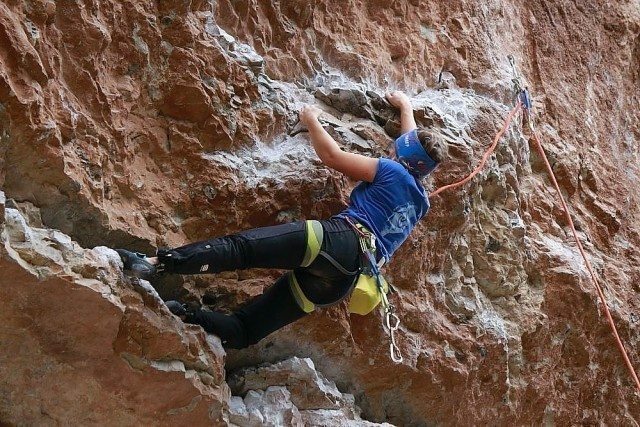 Rock Climbing is a risky sport that requires both skill and nerve for success. And also here, we suggest a professional guide. For a canyoning it’s not required special physical condition and it’s not necessary to know how to swim, but in order to enjoy and to have fun you must like to be in the water. Canyoning consists in the descent of canyon, torrents and waterfalls, a fabulous way to discover an unknown and uncontaminated world. 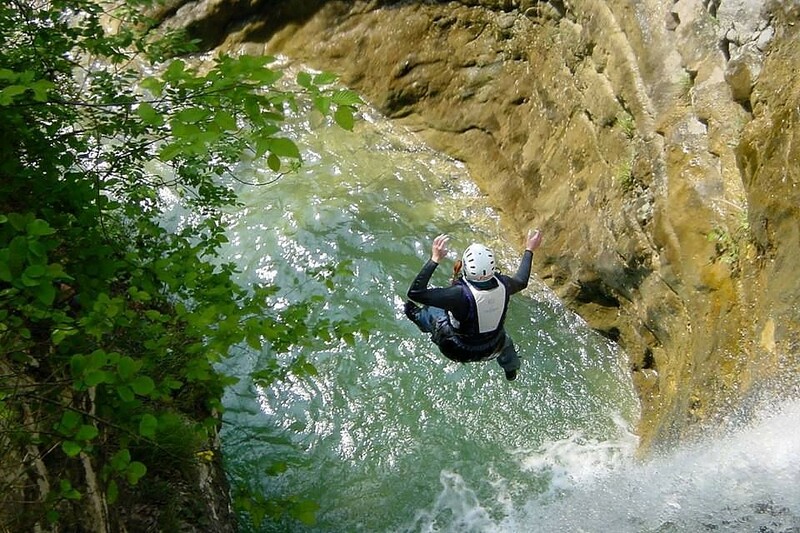 Around the Dolomite mountains you can discover a wide variety of canyoning routes.